Do you enjoy watching the popular TV drama “Another Miss Oh” made by tvN (the Korean broadcasting channel)? In addition to romantic love between the heroine Oh Hae-Young (Seo Hyun-Jin) and Park Do-Kyoung (Eric), it’s also interesting to see the company life of another Oh Hae-Young who has the same name of the heroine Oh and works as a planner for Korean food restaurant Season’s Table, her colleague Park Soo-Kyung and members of marketing team. Today, let’s find out the story of the real Oh Hae-Young, a planner of CJ Foodville’s Korean food restaurant Season’s Table, which is the backdrop of the drama’s restaurant. The enjoyment of making things by hand leads her to have a new life. ▲ Welcome, enjoy a healthy meal prepared for you in Season’s Table. 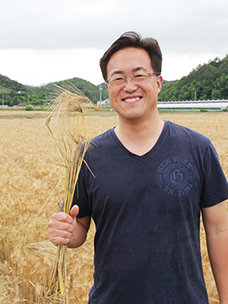 Here is Park Jin-Hee, an assistant manager of the product development team in CJ Foodville’s food service division. She engages in planning products for Season’s Table, and has many similarities to the character of Oh Hae-Young. The most common feature between them is that they both love what they do and work hard on value-adding tasks. She has always worked diligently to make foods for the enjoyment of others. After studying law at university, Park, who likes to make something by hand, felt an interest in food styling and started to study cookery. After that, she worked as a food stylist and accumulated experience in a company operating in the food industry, taking on a role which included conducting cooking classes, planning menus and catering. To share a touching moment of changing the common behavior of eating into a special experience with more people, Park entered CJ Foodville in 2014. ▲ Having conversation with chefs to check favored menu in a store! Park describes a product planner in a foodservice franchise as someone who takes charge of everything needed to devise new menus. In other words, a planner takes into account various local ingredients, including newly found and seasonal ingredients to make new menus suitable for the season. As a planner, she should try varying dishes from various countries, conduct research into old or international books related to cooking, and thoroughly monitor the market trends in the food and dining industry. ▲ I take responsibility for everything needed to develop a menu! Season’s Table provides about 20 menus per season, including new menus and upgraded menus with more flavor and nutrition. Given that it takes at least three months to prepare this, Park and her colleagues face each season earlier than others. Oh Hae-Young devises menus with rice polished instantly, and director Park Soo-Kyung has emphasized grasping the trend. Meanwhile, a product planner working for the foodservice franchise should take ideas that flash through daily life and identify in advance how people’s tastes and preferences change. The chefs in charge of Season’s Table at CJ Foodville’s foodservice research institute devise planned menus into real products. Product planners consider the timeliness of menus, ingredients, trends and tastes to devise ideas, and chefs later share the ideas and work with the planners to realize great seasonal Korean dishes. Planners and chefs make dishes together to try to quantify ingredients, standardize the recipe, review whether the menu can be cooked easily in the restaurant, and check whether the cooked foods lack taste or have any unexpected problem when served. After this process, food tasting events are conducted for several times to review whether the new menus have commercial value. During the three or four events at the company, things to fix or add to menus can be found, which means many people’s tastes and experiences can refine the menus. Likewise, a product planner takes responsibility to make changes and keep coordinating various opinions for the process. Finally, once tasting events for customers have been completed successfully, all branches of Season’s Table start to offer the menus. All staffs ranging from cookers to servers are trained to provide dishes in the best condition. Product planners are the busiest role in the process. They train new menus and prepare plates and displays suitable for menus in each branch. Moreover, they need to help marketing teams produce ads and cooperate with affiliates by giving opinions and supporting the works. With a good work-life balance, find a life worth living. ▲ A happy vocational disease: she always finds out good flavors in earnest. Without five keen senses, a product planner at Season’s Table would never be able to take a step forward. That is why Park emphasizes the importance of throwing away useless thoughts and keeping one’s appetite and senses while taking a rest. Of course it’s not easy. When she finds herself leading family members into nearly ten famous restaurants a day and record information on foods in memos and photos on a family trip, she just has to laugh about the thought that it might be another type of vocational disease. ▲ As a planner, be a generalist rather than a specialist! Park believes that maintaining a healthy work-life balance and trying out new tastes helps a product planner work successfully for a long time. But, what does she think of the requirements for a planner in the foodservice industry? ▲ Value of collaboration will be provided on Season’s Table. Following the recent craze for bananas, banana slush Makgeolli (Korean rice wine) has risen in prominence at Season’s Table. The restaurant provides delicious cuisine made from traditional ingredients that were almost forgotten, including Crippled Wheat, Watson Pomelo and Irish Cobbler potato, successfully delivering the taste of Korean foods. How would Park, who makes a connection to the past and present through foods, define Season’s Table? 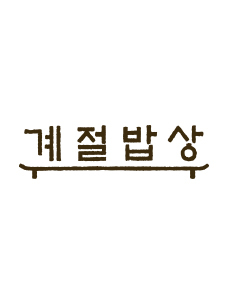 ▲ Hope to give a lot of support to Season’s Table filled with real Oh Hae-young Park’s devotion! 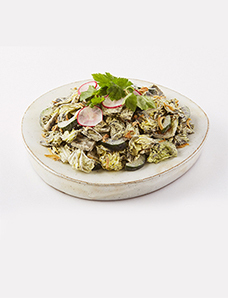 In Season’s Table, where collaboration is connected to sharing, all staff and farmers as well as Park Jin-Hee are making concerted efforts to provide customers with the most delicious and healthy dining experience. Foods deliver not only flavors, but also health, happiness, culture, good memories, value and a sense of accomplishment. The power of Real Oh Hae-Young, Park for doing hard work with a smiling face comes from these efforts and the sense of accomplishment that comes with it.